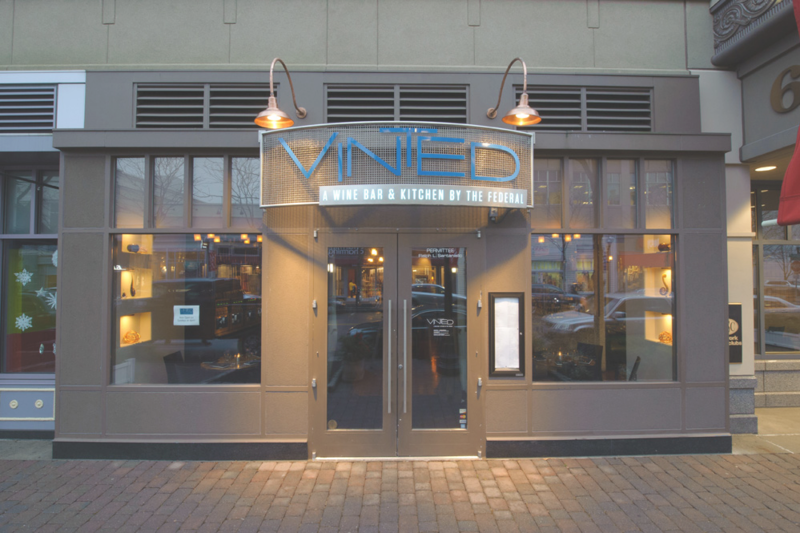 Vinted has over 80 wines available in one, three or six oz pours. Each bottle is stored in a temperature controlled state of the art wine preservation system with auto pour ensuring each glass tastes fresh and crisp. The restaurant also includes a full cocktail bar with amazing craft cocktails and a variety of bourbon, beer and scotch. The menu selection goes beyond average to include a wide range of rich and savory foods which are perfect for sharing. There are a variety of appetizing meats and cheeses, delicious soups and salads, small plates for sharing and delectable desserts that will please any party. The atmosphere makes it the perfect location to have a casual glass of wine and small plate with a friend or a dozen tasting glasses to experience all Vinted has to offer.